The Notre Dame Club of Austin has benefited from strong leadership and participation for the past 25 years. 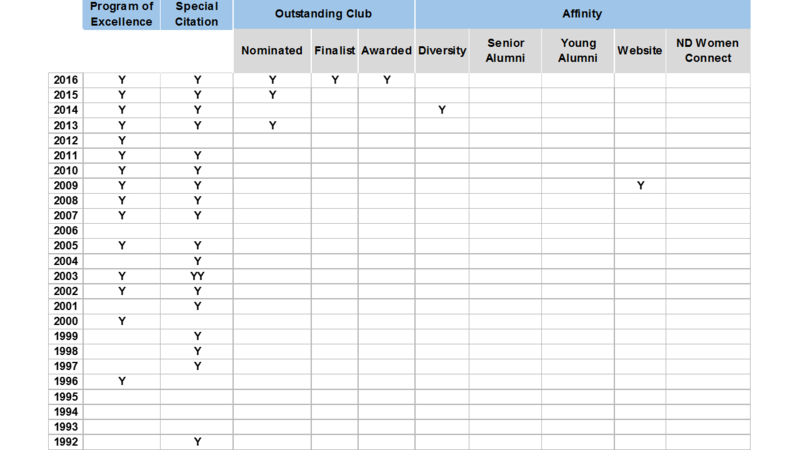 This bears out through the recognition received by the Alumni Association. The Club aspires to deliver the highest level of achievement for Notre Dame, the Austin community, and alumni. Due to outstanding overall programming in 2018, we have been recognized as a Program of Excellence! Through a demonstrated commitment to each of the Six C’s (Camaraderie, Catholic/Christian Spirituality, Communications, Community Service, Continuing Education, Current Students), our club has established itself as a model for other Notre Dame clubs around the country. 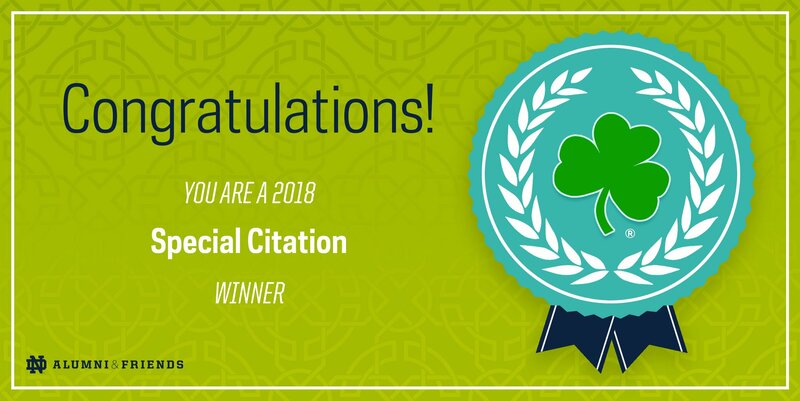 The ND Club of Austin is a 2018 Special Citation winner from the Notre Dame Alumni Association for our awesome Universal Notre Dame Celebration event featuring Coach Brian Kelly! In addition to learning more about Notre Dame Football from Coach Kelly, we raised $5,000 for our scholarship fund. 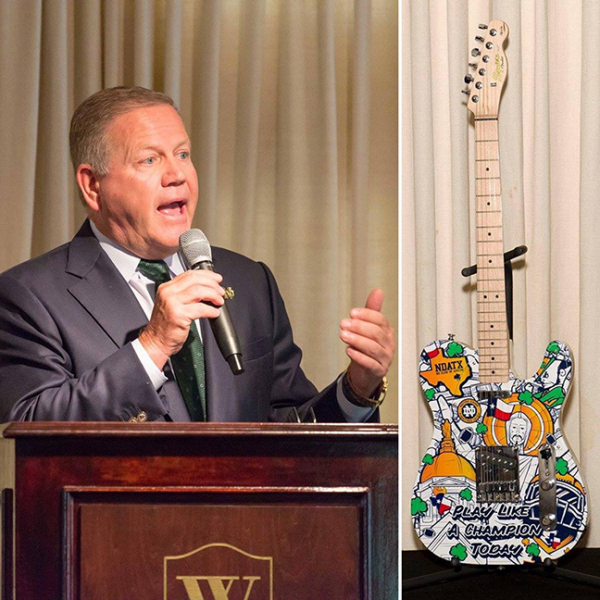 The event’s highlight was the look on Coach Kelly’s face when we raffled off the twin to his custom-designed Austin guitar for a donation of more than $6,000 to the Kelly Cares Foundation! 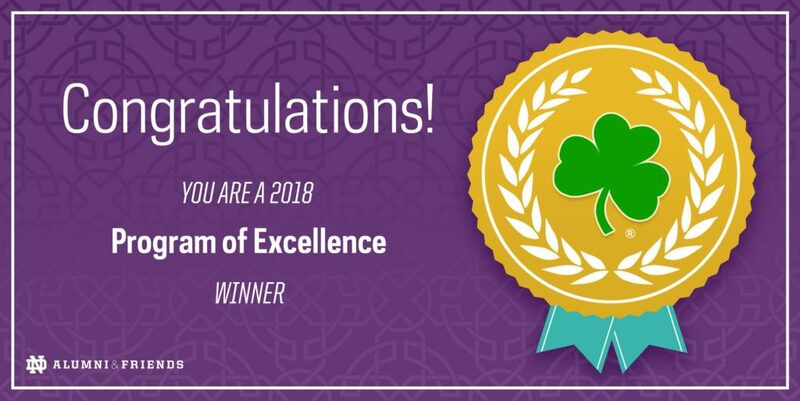 Thanks to our Regional Director, Tom Sessi, for the recognition!